First of all, don’t mention floods at Coney Island—not unless you want to see park staffers literally cringe. It isn’t a constant threat, but there are reminders: high-water markers from that 1937 showstopper, for starters (80 feet!). 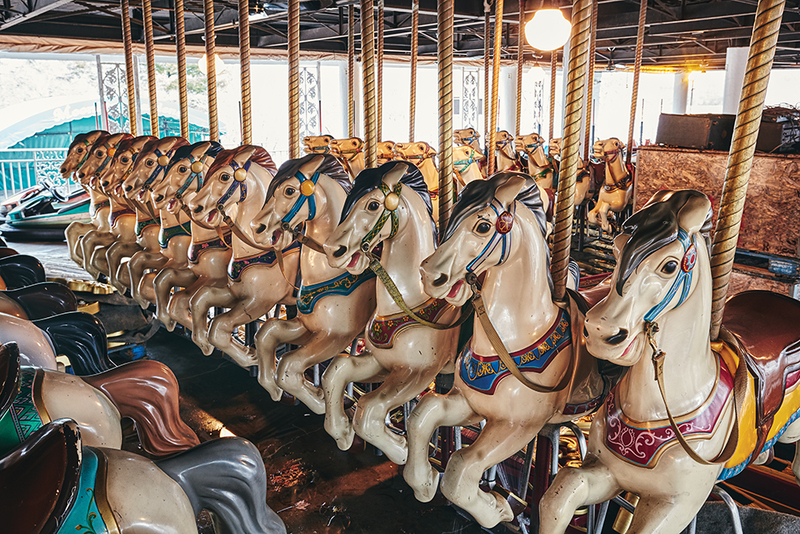 The original carousel was made of wood then, and according to Senior Vice President Tom Rhein, local lore is that some horses floated all the way to Paducah. In 1997, Rhein recalls, the water reached 24 feet in 24 hours. And as recently as 2015, staff rowed out of their offices in boats. 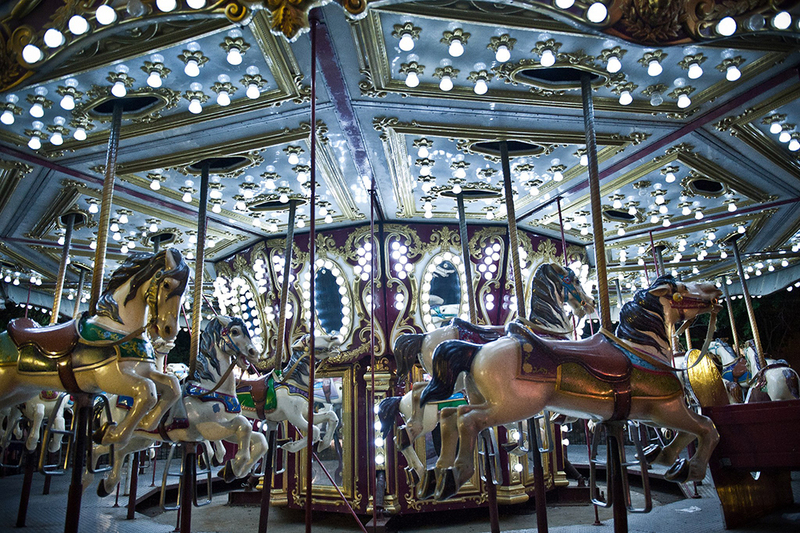 That’s not why the carousel ponies hibernate under the Moonlite Gardens shelter each winter, but it’s why they’re hauled up to the second floor with a forklift. Also, the off-season is a chance for maintenance workers to dismantle all the rides, mainly so that they can inspect—“we look at every nut and bolt,” Rhein says—rebuild, and spruce them up as needed. The ponies make an eerie sight lined up on a cold winter’s day, suspended from the Moonlite Gardens rafters. But they’ll be back where they belong—and better than ever—when the park wakes up for opening week in May.